Finally I’ve decided to blog on my Taiwan trip. Really trying hard to recall everything which I suppose it would be a tough one. Hope I could feed the readers with my simple yet brief iternary. Booked our air ticket during Air Asia promo 1/2 year in advanced. Both ways for 2 person cost us only RM9XX.It was my first time traveling with a group of friends; Ashley, Andrew, Wanyi, Yew Kong, Phoebe and of cos with Alex. The temperature during the entire trip was 13-18 degrees. 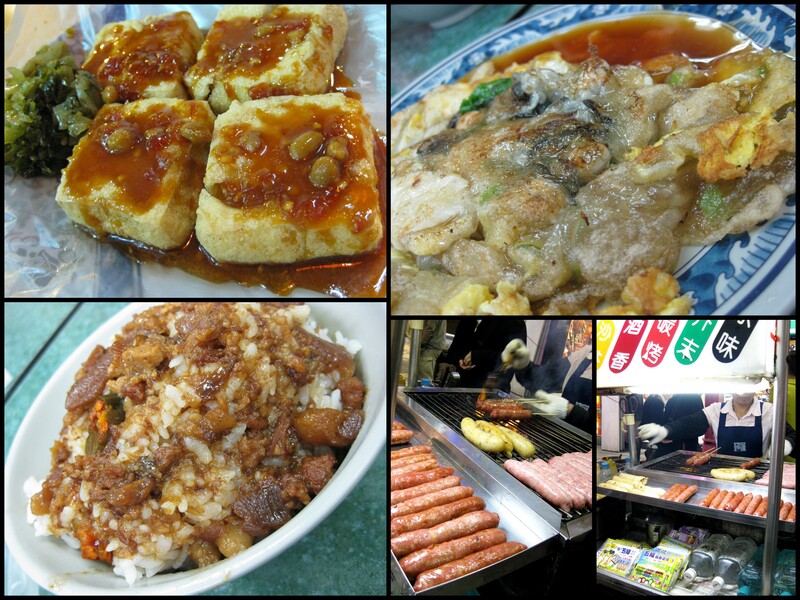 Traveled to Taipei on 20th January 2010. Flight took us 4 hours to reach Tao Yuen International Airport, arrival time : 3pm. Once reached, collected our luggage; moved to Hall 2(Tourism service center) to collect and register for Digital tour buddy and Youth Travel . If you are traveling on your own (free & easy); its best that you apply them 2 weeks before hand to avoid the long waits. Its beneficial as you can enjoy discounts on the entrance fee for certain places. Apart from that; its free of charge. You will also be given a set of handphone (manual book, sim card-with NT200 talk time, battery charger). Just go to any 7-eleven outlet to top up your phone credit. After settling everything there; we headed over to the bus ticket counter(FREEGO) to purchase our ticket to Ximending 西门町. This bus eventually stops just a walking distance to our hotel – Rainbow Hotel (长虹大饭店). Booked the hotel 1 month ahead for the price of NT1680 (twin sharing) inclusive of a simple breakfast. Though the room wasn’t really huge nor luxury; but the location is really convenient and the service is good too. By the time we check in to our respective rooms, leave our luggage; there goes we hunt for Ah Zong Mee Suah (阿宗面线) – juts few blocks away from our hotel. Still early; therefore less crowd. 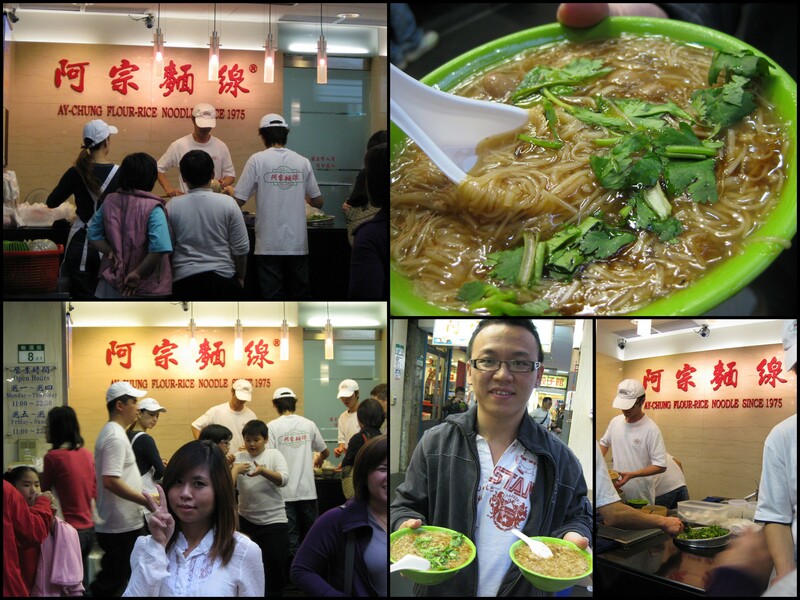 Sharing a bowl of warm noodles under the cold temperature; really feels good. After filling up our stomach with the yummy mee suah; we head over to Taipei 101 by taking the MRT blue line to Cityhall (台北市政府站). The MRT station is just a few minutes walk from our hotel. Convenient right? (Please purchase the EASY CARD from the MRT Station Information Counter. Quite similar to our TOUCHnGO card. Sky gets dark pretty early, by 5pm during cold season. Each and everyone of us was so excited though we walked for about 1/2 hour from the MRT exit without even realized the distance. 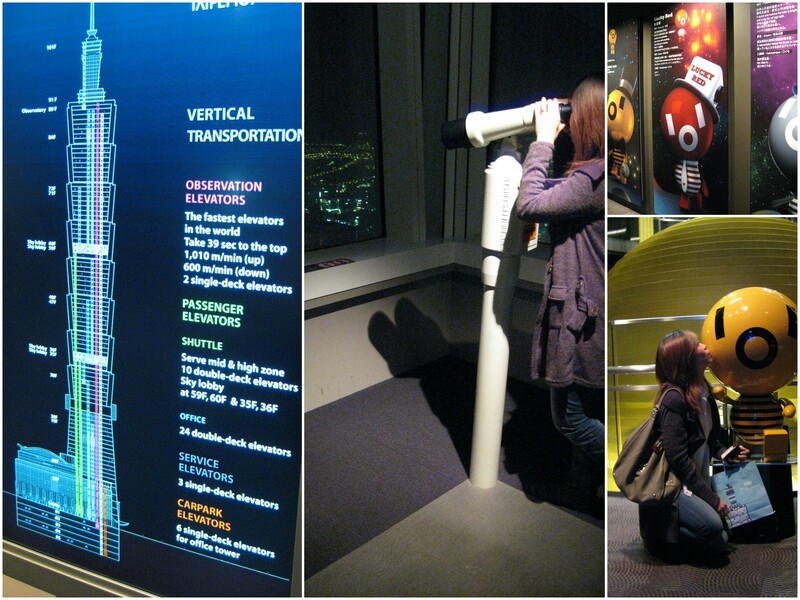 You can purchase the entrance ticket to Taipei 101 observatory at the fifth floor of the Taipei 101 shopping mall. It’s NTD400 per person, but with the Youth Travel Card, it is NTD350. 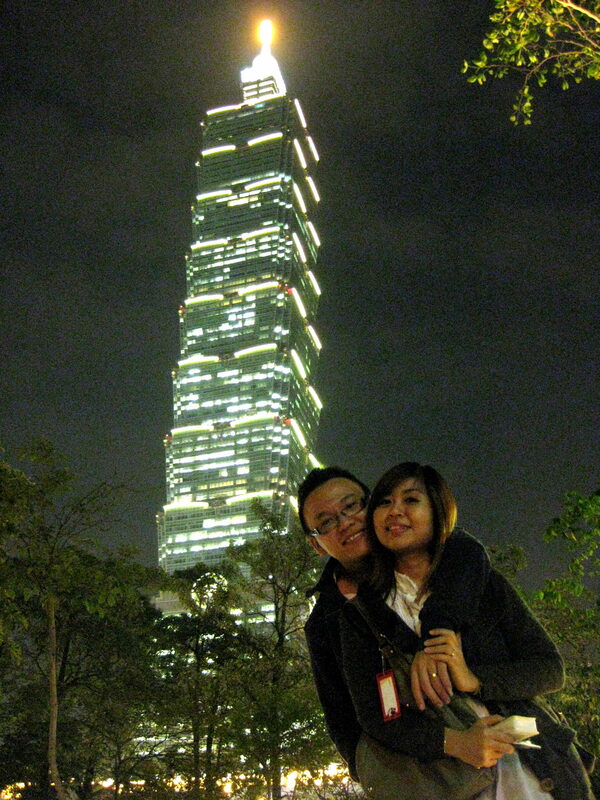 After getting up till the roof of Taipei 101’s tower; we walked over to New York, New York Department Store which is quite near actually. Did not buy anything form there…. 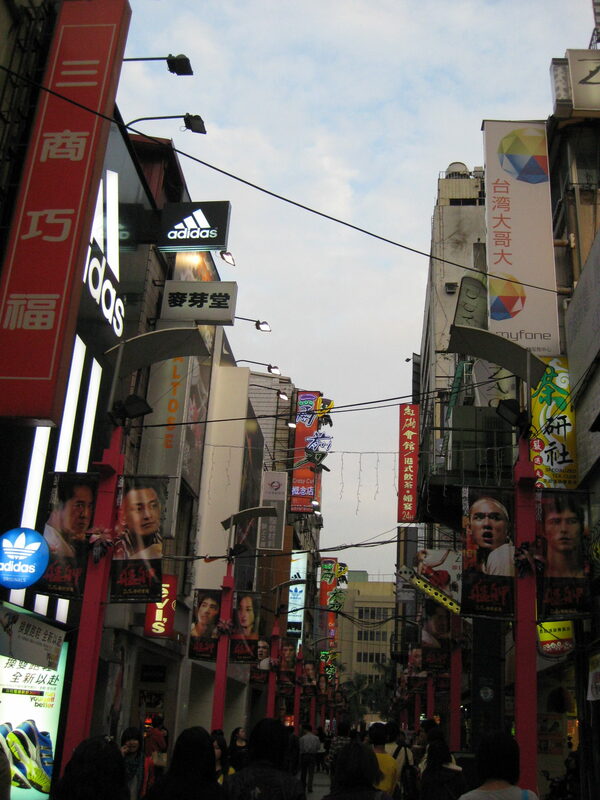 At about 9pm; we return back to Ximending and had our dinner there. Snacking around, munching, nomming till our stomach is real full!! At Ximending; you can see those traders setting up stalls along the street selling all kinds of food. But its illegal actually. You can witness the running as in Hong Kong drama, when the officers show up. Our dinner for Day 1. Thanks….will bookmark your beautiful blog yea. Thank you very much my friend, you are very kind in sharing this useful information with? others…. he details were such a blessing, thanks. Please let me know and also the youth card to go to stay at the guest house? Note that in the near future, New York New York shopping mall may be opening in San Bernardino County in California of the United States of America. The plan is currently being proposed. If plan gets approved, then as soon as the shopping mall opens for business, it will effect the toll rates of various toll roads in California, primarily the 91 Express Lanes where tolls will range between $15 to $20 on the eastbound direction while westbound travel tolls of the express lanes will remain unchanged. The new toll policy will include a <$10 toll for the 3+ lane of the 91 Express Lanes for all other hours and weekends on the Eastbound direction where during peak hours the toll policy will remain as half price of displayed toll. The general purpose lanes will still remain toll free.